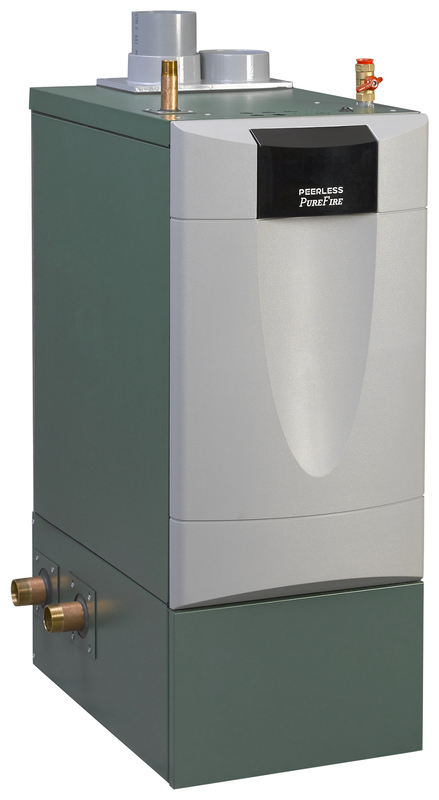 The Peerless® PureFire® commercial product line features gas-fired stainless steel condensing boilers with inputs of 399 to 1.5 M MBH and thermal efficiencies of up to 96.6%. 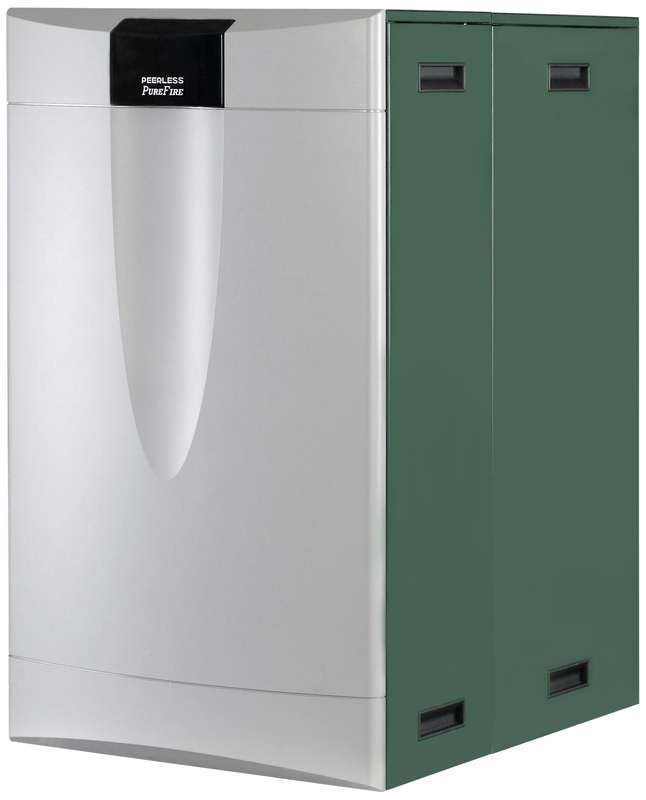 These cascade-ready boilers have a condensate system with built-in neutralizer and 120V convenience outlet (PF-399 – PFC-460). 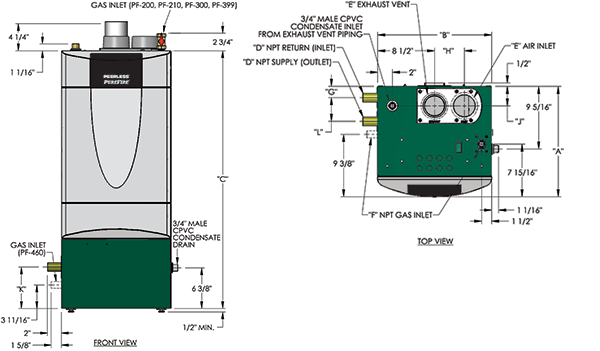 The larger sizes allow for common vent capability. 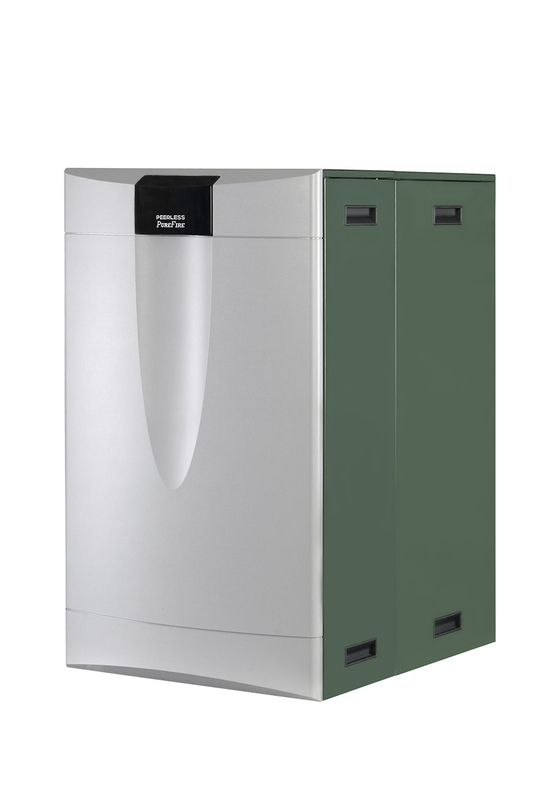 The PFC-850 to PFC-1500 models are essentially two boilers in one cabinet making them the perfect choice for jobs requiring cascading and redundancy. PureFire® commercial boilers offer a a one-year parts and labor warranty and a 10-year limited warranty on the heat exchanger (product MUST be registered for warranty coverage).